Trees help us breathe better by taking carbon dioxide out of the air and producing fresh oxygen. Many may not know that an acre of trees produce enough oxygen for 18 people to breathe each day. Trees also create shades lowering temperatures both globally and in the microclimates of cities and countries. The importance of trees can never be ignored. Trees have naturally grown without the help of mankind for millions of years, but as urban forestry becomes more and more evident in today's world, trees may not be able to survive its infancy without proper planning and care. Unfortunately, towns and cities are not designed by the laws of nature, but by the laws of human supply and demand. Trees are included as amenities and are established in an artificial habitat subjecting them to further harassment like pollutants and human-inflicted damages. 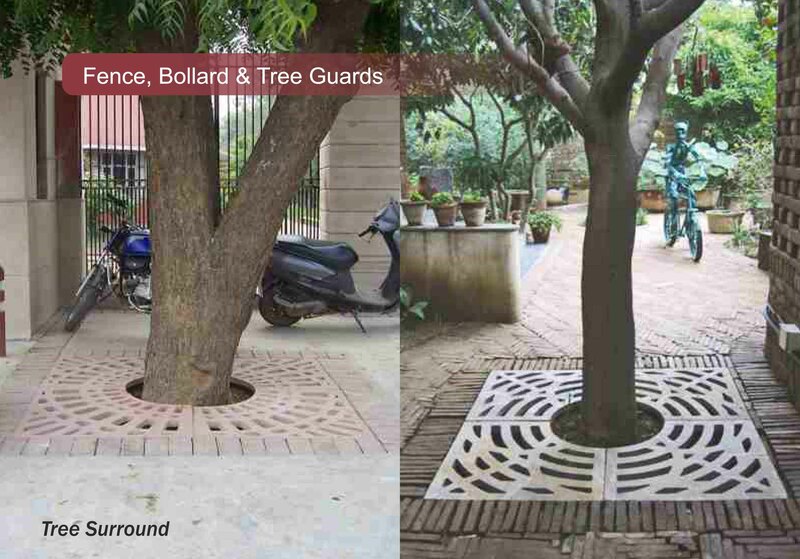 The uses of tree-grates not only adds flair to its overall appeal of the environment but also provided the necessary protection to both a young tree and its soil. It helps to support the growth of the trees and strengthen their resistance against harmful environmental influences. In addition, the installation of tree-grates will also create more space for human traffic.